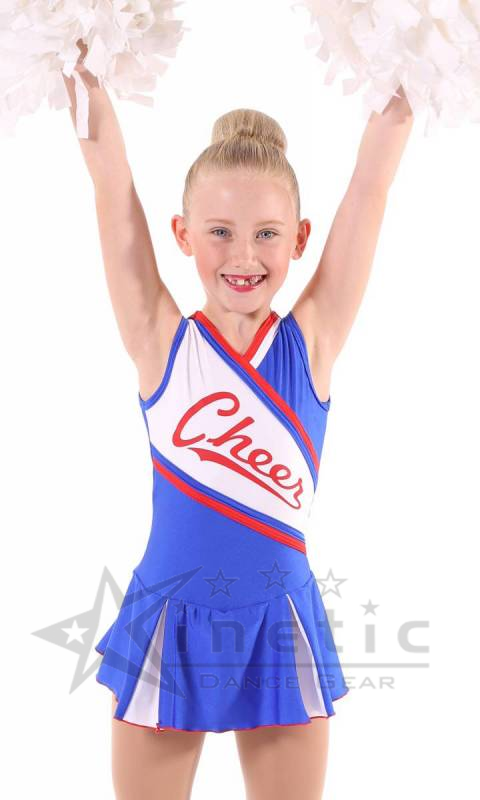 Cheer costume featuring panelled front and Cheer logo. Contrast built in shorts. Royal dress with white front panel (lined) and skirt inserts. Red built in shorts. Triple colour adidas stripe and binding details. Red dress with white front panel (lined) and skirt inserts. Red built in shorts. Triple colour adidas stripe and binding details.